Whether you have recently purchased property in Ardsley Park or simply looking to enhance your home with a new kitchen, American Craftsman Renovations is here to help. We will work with you to come up with a vision for your space. 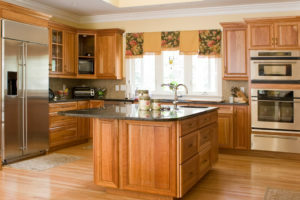 Maybe you are looking for light enhancements such as painting your cabinets and replacing your appliances. Or, you may want to expand and reconfigure your kitchen with a complete remodeling job. Whatever your needs are, we can help you accomplish them. Our expert general contractor has many years of experience and is extremely familiar with Savannah properties. We love helping our Ardsley Park neighbors breathe new life into their home, creating a functional and inviting space for friends and family. Let us work with you one on one to come up with the design for your new kitchen space today.